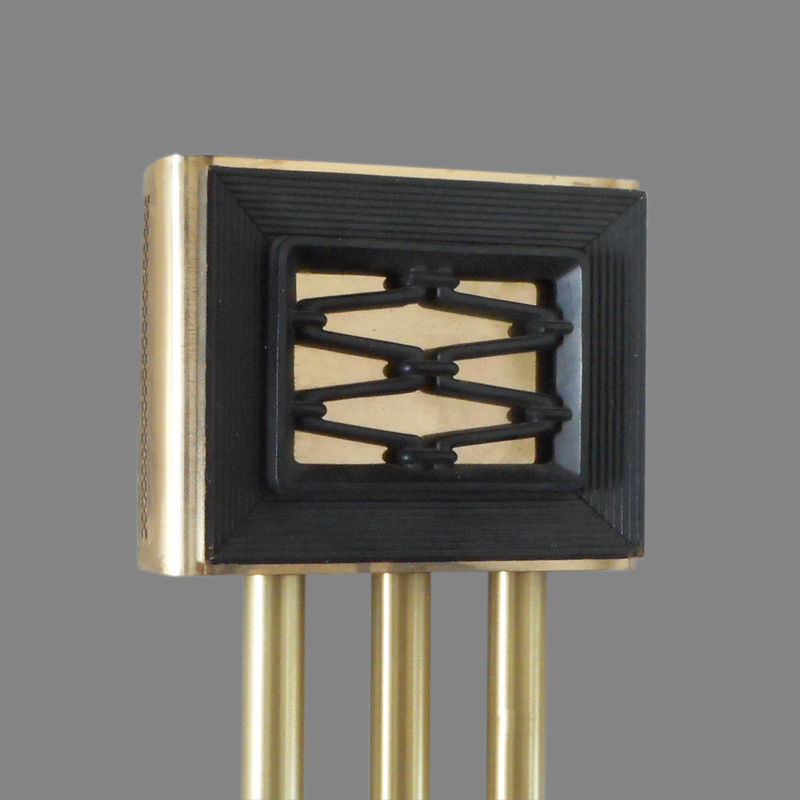 This modern chime of brass and Syroco wood was available as a long-bell doorbell as shown here, and as a resonator version. Syroco was a molded wood pulp product of the Syracuse Ornamental Company of New York. 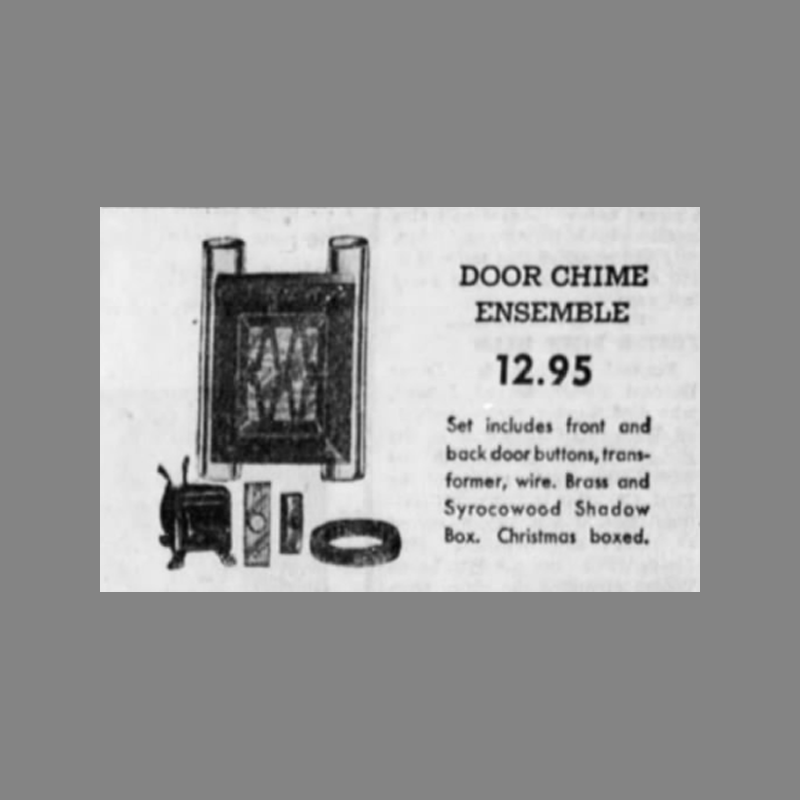 This door chime was likely sold through the Montgomery Ward catalog along side the resonator version featured in Ward’s newspaper advertising. The shadow-box is made of Syroco Wood. Following an acrimonious ten week factory strike in 1954 Liberty Bell Manufacturing closed shop in Minerva, Ohio in 1956, in favor of Swainsboro, Georgia. 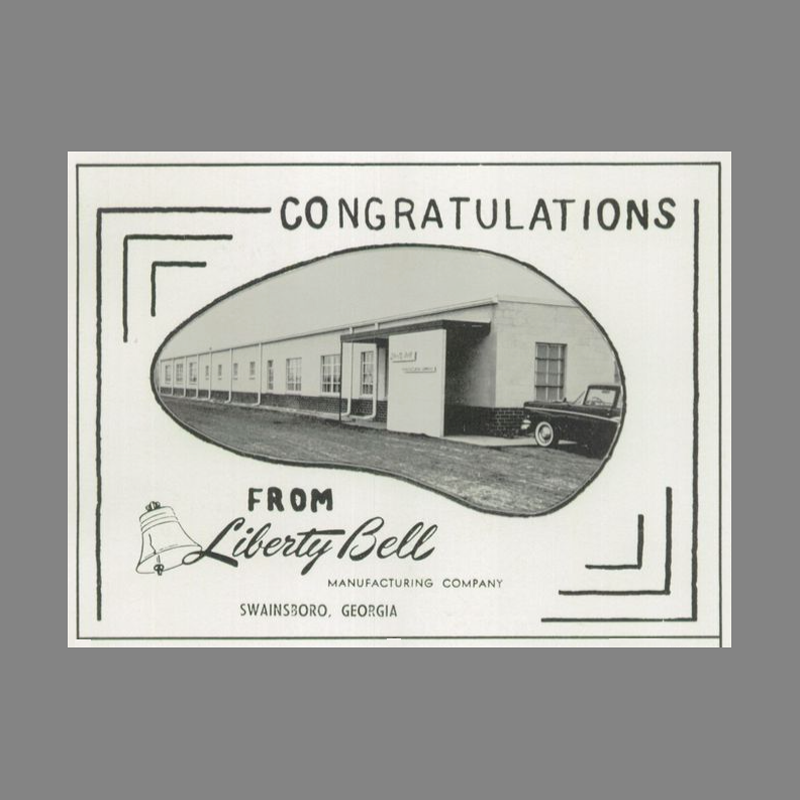 As early as 1954, Liberty Manufacturing had taken out ads in the Swainsboro High School Annual, so the move from Minerva might have been a consolidation of facilities. This door chime is a bit of the missing link between the ascent of the Miami Carey door chime business as the Phillip Carey Company of Ohio purchased the Liberty Bell Manufacturing Company and apparently took over Edward’s door bell business. 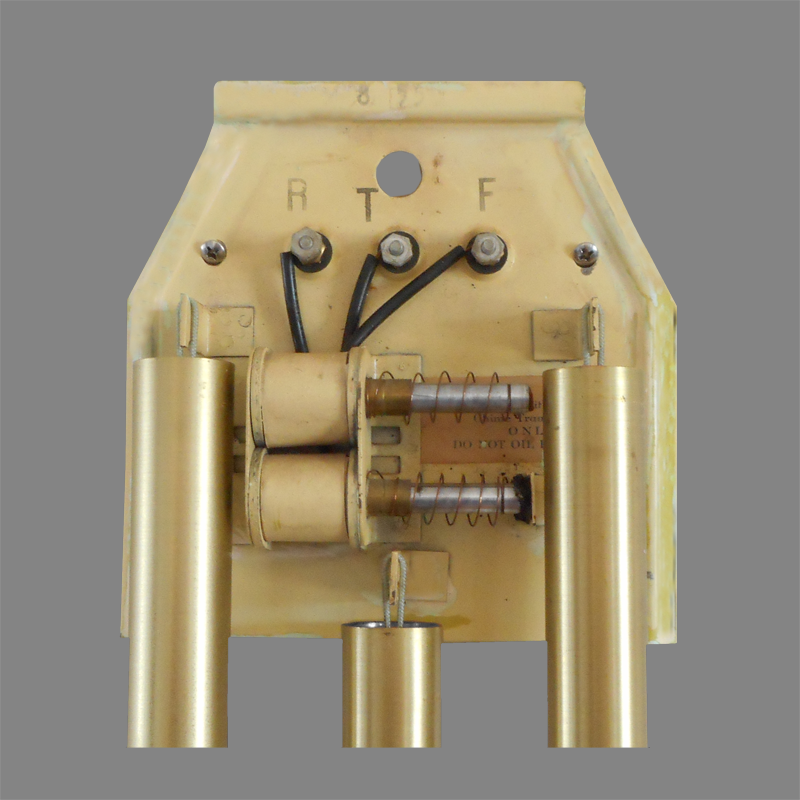 The back plate of this mechanism is identical in dimensions and shape to that of the later Miami-Carey Serenade. The Philip Carey company acquired Liberty Bell in 1960. I believe Liberty Bell was an OEM manufacturer for many of Edwards’s products which would explain that the last Edwards catalog I have seen is from early 1960. Cover Stamped brass with Painted Syrocco wood "Shadow Box"